You are currently browsing the The Pet Product Guru blog archives for August, 2017. Our radio station, Edgewater Gold Radio is dedicating todays programming to the victims of hurricane Harvey. 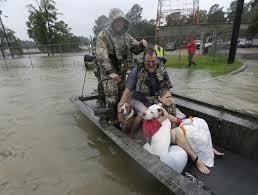 So many have been uprooted, and lost everything including our furry friends. We will be providing information of where and how to donate all day long. 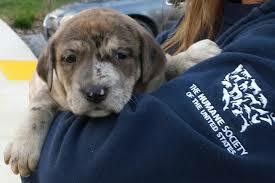 You can send a donation that will go to providing food and shelter to an abandoned pet. The SPCA of Texas is evacuating thousands of pets. Here are two organizations where you could make a donation specifically for displaced pets. 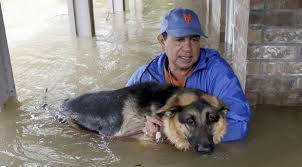 Click below and help these desperate animals today and listen to Edgewater Gold Radio all day long for the best oldies and information on how to donate to the victims of Hurricane Harvey! Humans aren’t the only ones weathering the storm as Hurricane Harvey ravages Texas with “epic and catastrophic” flooding that has left thousands of people stranded. Rescue efforts are also underway for pets and animals across the state, with many shelters and good Samaritans helping animals that are scared, hungry and alone. ‘Epic and catastrophic’ flooding devastates Houston as more rainfall is forecast. SPCA of Texas provides help and shelter for abandoned pets rescued. The following is information explains how you can donate to help save our pet victims of the horrible disaster. The SPCA of Texas is putting every available resource behind assisting pets and people who have evacuated the Gulf Coast to the North Texas area. We are deploying staff, volunteers and supplies to support evacuees housed at the mega shelter opening today in Dallas, working with city and county disaster officials to care for the pets of evacuees. We also took in 123 cats from The Cattery cat shelter in Corpus Christi on Friday in advance of the storm. These cats were un-owned, and we cleared their shelter to ensure the cats’ safety. People can help us help the hundreds, possibly even thousands, of evacuees’ pets coming to North Texas by donating to the SPCA of Texas at http://www.spca.org/give. You can help the thousands of pets that are abandoned, alone and frightened by making a donation today. All oldies all the time! One station Edgewater GOLD Radio! Listen from our website: The Edgewater Internet Radio Network! Your pets immune system is working 24/7 to ward off viruses, bacteria and other foreign invaders that could make your pet sick. When any of these disease causing agents try to invade, a cellular fighting force is deployed to destroy them. 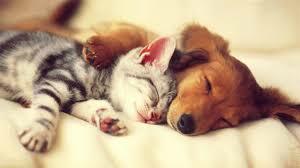 Your pet cat or dog need a vigorous immune system to survive. What they eat plays an important role in maintaining a healthy immune system. That’s why your pets diets needs to be balanced in terms as major nutrients such as proteins and fats. Vitamins Zinc, Selenium, and vitamin E are also very important.Too much of one element could be just as damaging to the immune system as too little. Ask your veterinarian for a recommendation. The oldies of a lifetime! 4 decades of great oldies plus popular standards. Edgewater Gold Radio! Listen from our website. The Edgewater Internet Radio Network! Yesterday, one of our elderly neighbors had to be taken to the hospital. She lives alone and doesn’t have any relatives that live nearby. She owns a little dog whom she adores. Luckily another kind neighbor took the dog until my neighbor returns from the hospital. 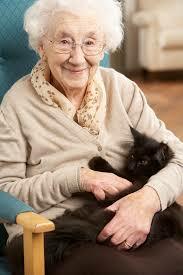 It is very important for anyone living alone, to have a plan for your pets in case of an emergency. 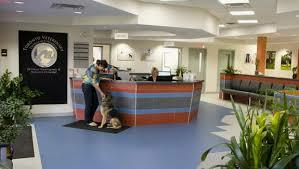 A hospital stay can be many days so pets need to be looked after during this time. If you live alone and don’t have any relatives living nearby, make a plan with a neighbor or friend to care for your pets while you’re gone. Make sure they have access to your home, know you pets routines. If your pet is on medication, make sure that the person caring for your pet knows how and when to administer the medication. Also it’s vital that the care taker know where all food and medication are located. You may also talk to your vet. They may offer advice on how to have your pet cared for in an emergency. Don’t wait until it’s too late. Make a plan for your best little friend or friends now, you’ll be glad you did! The greatest memories of your life —Edgewater Gold Radio — Oldies from the 50s 60s 70s 80s plus great standards! Listen from our website: The Edgewater Internet Radio Network! Harvey Hits The Texas Coast as Powerful Cat 4! Always Have a Plan For You And Your Pets! Hurricane Harvey is pummeling the coast of Texas. It came in last nice as a powerful Category 4 storm which has catastrophic results! 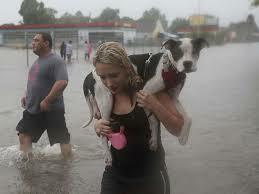 Obviously, it’s hurricane season and make sure that you remember your pets when making disaster emergency plans! If you have to evacuate because a hurricane threatens the area in which you live, don’t forget about your cat of dog. Keep his pet carrier in a convenient place in case you have to get out fast. The instincts of your pet cannot be counted on to survive a disaster. Pack at least one weeks supply of pet food and always remember your pets leash. Make sure that you have the proper ID tags clearly visible on your pet. If you must go to a hotel or shelter, ask if it’s OK to bring your pet. It is very important that you don’t wait until the last minute to evacuate. Rescue officials may not let you take your pet. Keep up to date on all of the weather conditions and evacuate sooner rather than later. If you have no choice but to leave your pet home, make sure that he has a current ID and a secure collar. Take a picture of your pet with you just in case he gets lost. I cannot emphasize it enough that your pets are a part of your family. Plan ahead and make sure they are included in your disaster plans. The oldies are playing all the time all in one place! Edgewater Gold Radio! 50s 60s 70s 80s plus great standards! Listen from our website. The Edgewater Internet Radio Network! add comment Comments Off on Harvey Hits The Texas Coast as Powerful Cat 4! Always Have a Plan For You And Your Pets! Guacamole and Alcohol, a Big NO NO for Dogs! There are some foods that your dog should never have and some of them may surprise you! If you give your dog a chip with guacamole on it, there will be severe stomach problems for your best friend. For instance, the reason why guacamole should never be given to your dog is because avocados contain persin which is harmless to humans but can be very toxic to your dog. If you happen to be growing avocados at home, keep your dog away from the plants. Persin is in the leaves, seed and bark as well as the fruit. 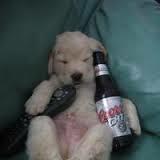 Alcohol is also very dangerous for your dog. That’s because alcohol has the same effect on a dog’s liver and brain that it has on humans but it takes far less time to do a lot of damage. Web Md says that just a little can cause vomiting, diarrhea, central nervous system depression, problems with coordination, difficulty breathing, coma, even death, and the smaller the dog, the greater the effect. The greatest memories and music are a click away on Edgewater Gold Radio! Listen on The Edgewater Radio Network! add comment Comments Off on Guacamole and Alcohol, a Big NO NO for Dogs! I’ve had my two kitties for a long time. Molly is 18 and Millie is 12, during this time, I’ve had to take Molly to a 24 hour emergency clinic at the animal hospital twice. Once, about 10 years ago when she suddenly had trouble walking. I was very concerned that she may have a blood clot which could be fatal. It was Sunday and we were eating dinner when this occurred. I quickly placed her in her carrier, left all of the food and dishes on the table and drove to 24 emergency vet. Luckily we never found out what caused Molly’s to suddenly become lame but when the vet examined her, she suddenly was able to walk again. I was glad for the 24 hour emergency service and glad that I took her. Last month, Molly began vomiting and became extremely dehydrated due to advanced kidney disease, I took her to the emergency clinic here in Delaware and thank goodness I did. She would not have lasted too long. They hydrated her, examined her and found the cause of the vomiting. Since then, she is doing much better. Even if your pet is not sick now, I would strongly recommend finding out where there’s and emergency pet clinic or an animal hospital that has emergency services in your area. Do a drive by to check it out and keep the number handy because you never know. Pets, like humans can suddenly have an emergency situation. Be prepared. Our oldies station is on the air playing some of your greatest memories. Music from the 50s 60s 70s 80s, songs you may not have heard in a long time and popular standards. They’re all in one place! Edgewater Gold Radio! Download the free Edgewater Gold Radio app from your play store, You can also listen from our website. The Edgewater Internet Radio Network. Well, the highly anticipated moment is soon to be here… We’re counting down the hours to first total solar eclipse to cross the country in nearly 100 years. It will start around 1:22pm EST and continue for about 2 hours. I highly recommend that pets stay indoors as their eyes can be damaged by looking directly at the sun during this total solar eclipse. . It’s better to be safe than sorry. 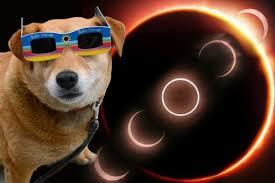 This may sound silly but if your dog must be outdoors during this time, make sure he’s wearing his protective glasses as well. Have a safe day and enjoy this once in 99 year event! The music background to your total solar eclipse —Edgewater Gold Radio! Enjoy the greatest oldies of your life during this historic period! 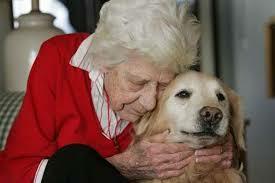 Are Older Dogs the Best For Seniors? Turn on the oldies today. Great memories on a great station. Edgewater Gold Radio! Listen from our website: The Edgewater Internet Radio Network! add comment Comments Off on Are Older Dogs the Best For Seniors? My older cat Molly requires several medications to help control her thyroid and kidney disease. Twice a day I line up Molly’s medications on the counter and become what seems like a mad scientist, mixing the proper doses into her food. It’s imperative that you distribute the medication as prescribed by your vet. Never over or underdose and make sure that you administer the medication at the prescribed times. Sometimes, it becomes necessary to change the time that the medication is administered. If this occurs, don’t skip the medication but rather administer it as close to the prescribed time as possible. 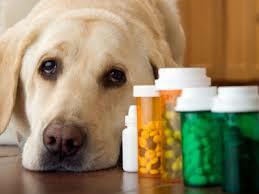 Make sure that your pet is taking their medication. Our little friends can be sneaky when it comes to taking their meds. I would place Molly’s thyroid pill into a pill pocket and give it to her. I would see that she was eating the pill pocket so I walked away only later to find the pill pocket gone and her little pink pill lying on the floor. I had to develop a strategy. So I now give Molly, her pill before I feed her. I encourage her to eat her “greenie”(the tasty pill pocket containing the pill) and stay there to make sure that she swallows it. I tell her that she’s good girl and then feed her. This seems to be working fine until Molly comes up with another way to trick me! Monitor the medication carefully and if you notice anything such as lethargy, lack of appetite etc., always consult your vet immediately.